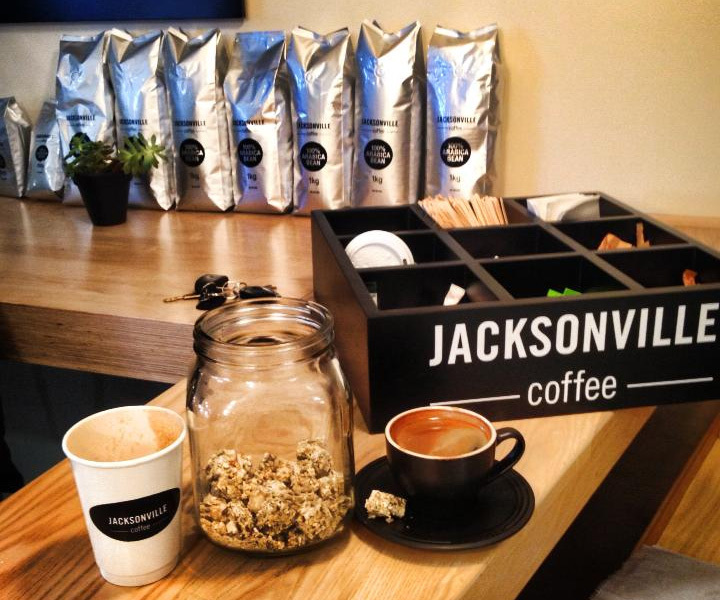 The moment you step into Jacksonville Coffee, you’ll be instantly greeted with the welcoming aromas of freshly brewed deliciousness. This little gem is tucked away inside Prime Human Performance Institute, and is Moses Mabhida Stadium’s very own coffee haven. Whether it’s something with a kick you’re after, or just a mellow rooibos tea, why not come in, savour a cuppa something and contemplate your day’s agenda in stylish surroundings. There’s more to Jacksonville than just coffee. Enjoy a healthy muffin with your coffee, grab a healthy snack to go, or cool down with a refreshing Chiller. And the best part? Their doors open at 06h30 every weekday morning, giving gym-goers and early-birds the chance to grab their morning brew before work.